WP Email Capture Drip integration allows integration with WP Email Capture with the autoresponder service, Drip. Drip is a service that allows marketing automation through segmentation. For serious marketers Drip allows you to characterise your subscribers by interactions and then change your message to them. You can send them down different marketing funnels to various marketing messages. What does this mean? Well say if a subscriber interacts with your email after one message and completes the goal, they don’t get any more emails. If however they don’t, you can send them on a different autoresponder path. This leads to more conversions, and less annoyed customers – receiving emails they are unable to act on. Drip makes it incredibly easy to set this up. To find out more about Drip, please click here. This integration allows you to use WP Email Capture’s double opt-in forms, you can then push your users to your Drip account. This will allow you to use Drip’s in-depth autoresponders in conjunction with WP Email Capture. Once set up, you will not have to do anything. No messy exports, no difficult imports. At least WP Email Capture Free, though it works with WP Email Capture Premium too. 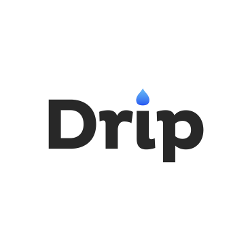 An active account with Drip – you can get Drip here. Support is provided with Premium Support only. All premium plugin downloads come with 1 year free premium support. If you wish to purchase WP Email Capture Support separately, visit our support page.